Can I Let My Dog Roam Free? Have you ever wondered if it's okay to let your dog roam free? 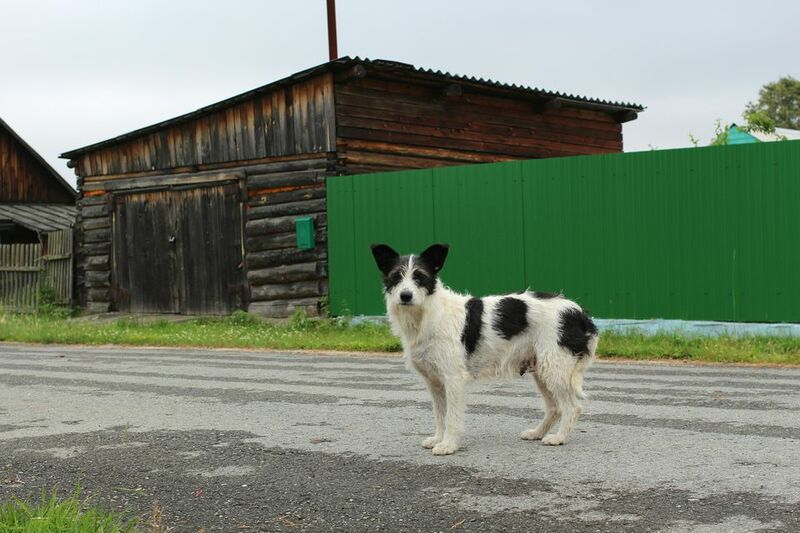 You may live in a rural area and see other dogs roaming. Perhaps your dog loves to wander and explore as most dogs do. Maybe your dog always comes back. Why do some people say this is not a good idea? Unfortunately, it is neither safe nor appropriate to allow your dog to roam free. In general, dogs should not be allowed off-leash, even with supervision. Many decades ago, it was considered the norm to allow dogs to roam free, especially in rural areas. Back then, there were fewer cars on the road. Dogs were less often considered members of the family as they are today. Many dogs lived on table scraps and slept outside; it was just the way life was. The life expectancy of dogs was much shorter back then. There were also many unwanted and stray dogs that ended up being euthanized. These days, we have a better idea of the risks. Veterinary medicine has advanced, and most people think of their dogs as essential members of the family. While roaming the countryside and exploring the world is loads of fun for most dogs, it is simply not safe. Whether you live in an isolated rural area or just a quiet neighborhood where everyone lets their dogs run loose, free-roaming dogs lead to trouble. Vehicles: Even the most isolated road has a car or truck pass by occasionally. You may say your dog never crosses the road, but there's no telling when that can change. He may see an animal on the other side or wander into the street uncharacteristically. Dogs that have been hit by cars account for a very high percentage of pets entering veterinary emergency clinics. Many of these dogs do not survive. Infectious diseases: While exploring, your dog can come across disease-carrying substances from animal feces, dead wildlife, and even other living animals. Dogs are opportunistic scavengers that instinctively eat what they find appealing. They can easily contract an infectious disease. Some of these diseases cannot be cured. Parasites: Standing water such as ponds and puddles are breeding grounds for many intestinal parasites. Animal feces often carry parasites as well. Again, your dog may eat whatever he finds appealing and ingest a parasite in the process. Many of these parasites can cause your dog to become sick, often beginning with diarrhea. You may never notice this until the complications are serious. Injury to or from other animals: Dogs are predatory creatures by nature. They may chase and attack wildlife and other pets. While it is a shame for local wildlife to be harmed, it is even more tragic for someone else's pet to be injured or even killed. On the flip side, an aggressive or defensive animal (domesticated or wild) might injure or kill your dog. Disturbing other people: Be a good neighbor, even if the closest one is miles away. A free-roaming dog can travel for miles. He might wander onto someone else's property and dig up the garden or destroy other property. He might defecate on their property. Furthermore, your dog, regardless of how nice he might be, can frighten people (especially children). It's simply rude and irresponsible to trouble other people in your community this way. Legal consequences: Many areas have leash laws, meaning you could be fined for allowing your dog to roam free. In some cases, your dog could even be taken from you. Lost or stolen: Your dog may wander too far one day and never make it back. People may think your free-roaming dog is a stray. Someone may take him to the pound or keep him for themselves. Your dog could even be knowingly stolen by a malicious or greedy person. As much as your dog might love to run, you are doing the dog and your community a disservice but allowing this. Instead, get out there and exercise with your dog. Build a fence for your yard or bring your dog to a large enclosed field or meadow to play. Consider visiting a dog park if your dog can play nicely. Please be a responsible dog owner and keep your dog from wandering around your community.